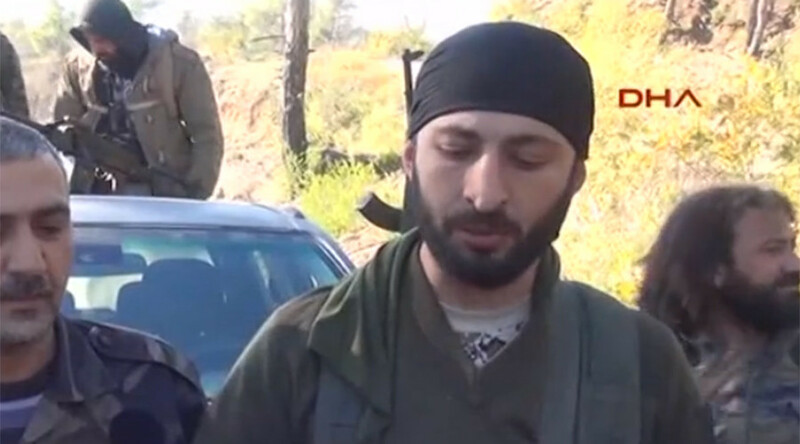 A Syrian rebel commander who boasted of killing a Russian pilot after Turkey downed Russian jet on Tuesday appeared to be Turkish ultranationalist and a son of former mayor in one of Turkish provinces. Alparslan Celik, deputy commander of a Syrian Turkmen brigade turned out to be the son of a mayor of a Keban municipality in Turkey’s Elazig province. He also turned out to be the member of The Grey Wolves ultranationalist group, members of which have carried out scores of political murders since 1970s. Celik came under spotlight after he announced that as the two Russian pilots descended by parachute after the Su-24 jet was downed by Turkish military, both were shot dead by Turkmen forces on Tuesday. A graphic video posted earlier on social media purported to show a Russian pilot lying on the ground surrounded by a group of armed militants. For more watch RT's William Whiteman’s report.